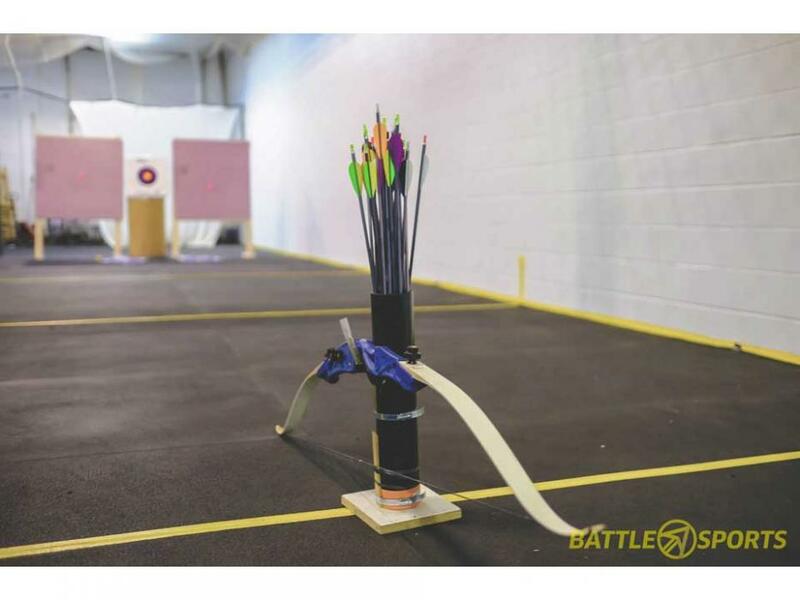 Archery Room Experience in Toronto! 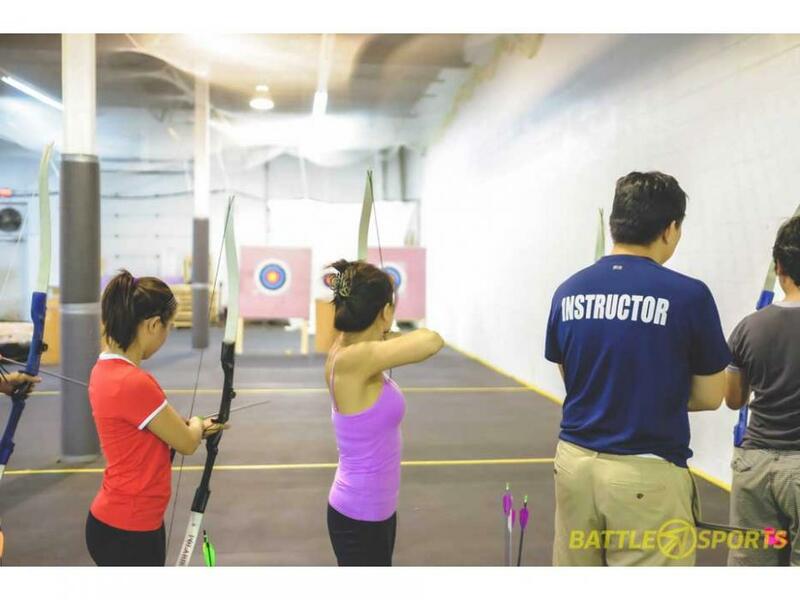 Experience indoor archery for one in Toronto! Looking for a place where you can just relax and shoot arrows indoors? 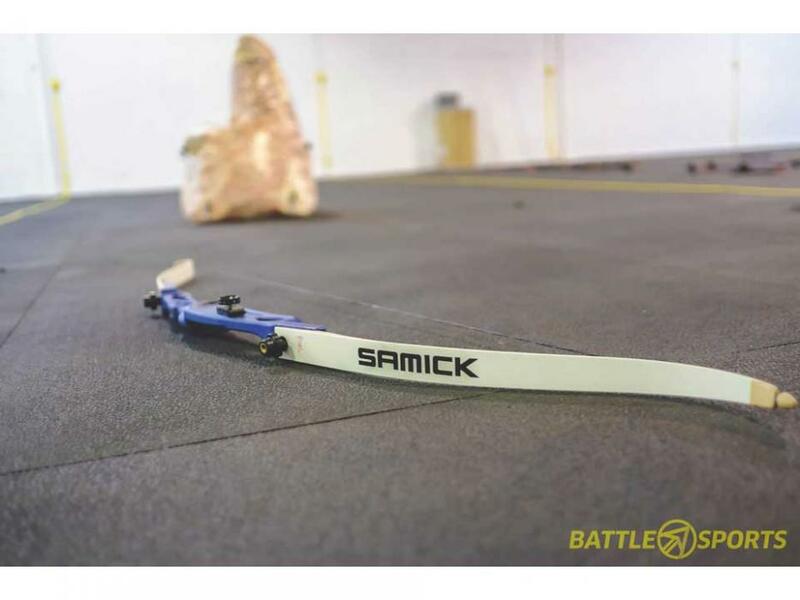 Bought a new bow and want to get some practice time with it? 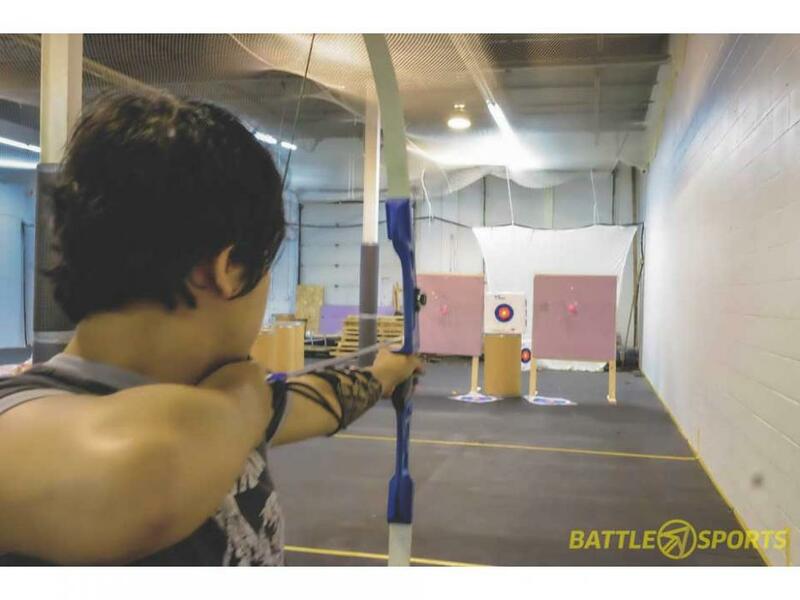 Battle Sports offers hourly bookings in Toronto’s biggest indoor archery range. Whether you are a beginner or an expert, we welcome you to our facility. Shoot at our 20 yard (60 feet) indoor archery range. The range time is best for people who want to practice their aim/archery form. 60 minutes in the Archery Range for one. All equipment (24 lbs recurve bows, archery targets, arm guards, and finger savers) will be provided. You can bring your own Recurve Bow that is up to 24lbs of pull weight.